Obesity is a serious, highly relevant global health issue that poses one of the greatest risks to health worldwide. Yet it’s often characterised by a focus on the individual and trivialised by connotations of tape measures and food. This was the challenge IASO (The International Association for the Study of Obesity) faced. IASO is a membership organisation that is essentially responsible for co-ordinating and galvanising the global effort to tackle obesity. 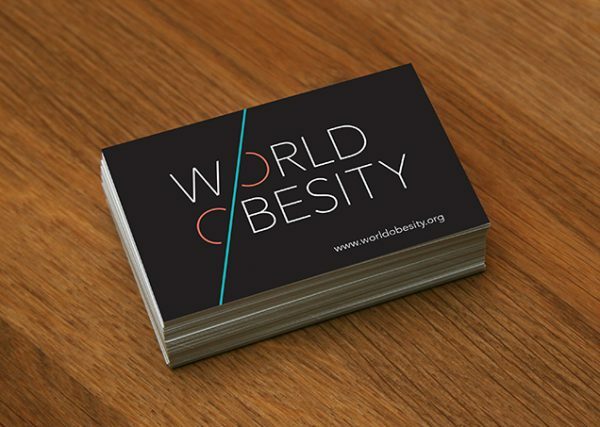 They needed a louder voice and a stronger global presence, not just within the field of obesity, but healthcare generally – obesity is often the ‘gateway’ to those illnesses that command more attention. Diabetes. Heart disease. Cancer. IASO needed to raise its own profile and that of obesity itself so that those with a role to play in solving it – not just the medical profession, but the pharmaceutical and food and beverage industries – would begin to view it with the seriousness it deserved. Yet IASO had a brand that lacked the dynamism and ambition of the organisation, and a name that planted them firmly in the territory of academia rather than action. When the name is an issue this is the thing that needs solving first. This wasn’t a straightforward task as IASO wasn’t the only name to contend with. There were two sub-functions within IASO – policy and education – that had their own names and, in the case of the policy function, a very strong identity. In fact IOTF – the policy arm of IASO – arguably had a stronger identity than IASO itself. The result was a strangely lopsided brand hierarchy with no sense of how the brands were connected or even if they were part of the same brand family. We had some clear objectives for the new names – to bring clarity to a confusing brand hierarchy, to move them away from the initials and acronyms type names so prevalent in the sector, and to give them a name that would state clearly the work they do, with confidence and authority. However clear objectives don’t necessarily make for a straightforward process. Achieving consensus around a name – and then consensus around sub-brand names – was a lengthy process. 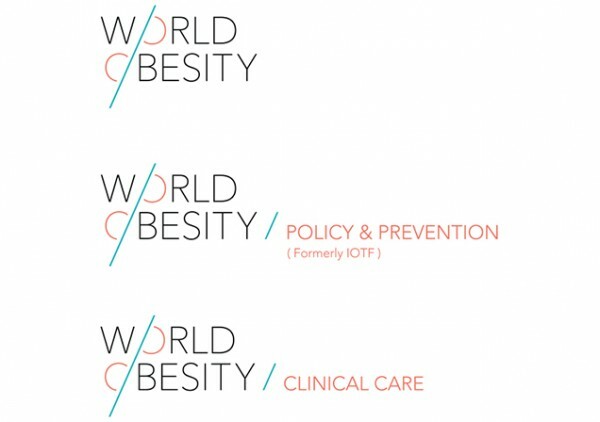 The names we eventually arrived at were necessarily simple and somewhat perfunctory –World Obesity Federation as the masterbrand name; World Obesity Policy & Prevention and World Obesity Clinical Care the two sub-brands. Creativity has to take second place to clarity. With names agreed, we were free to move into the creation of visual brand. There were some clear pitfalls to avoid and problems to solve here. Visually, we needed to unify the sub-brands and their straplines under a master brand and introduce a hierarchy that would clearly define how these elements would work in isolation and when viewed together. We also wanted to find better, fresher ways of showing the organisation’s credibility and international reach rather than the globes, maps and corporate blue colour palette so prevalent in this field. 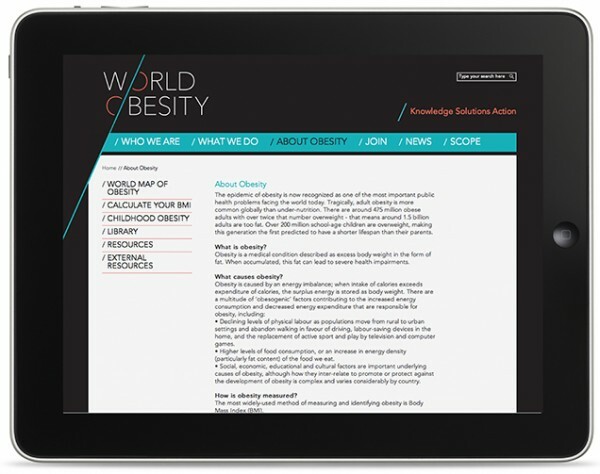 Inspiration came from going back to the core aim of World Obesity’s work – a healthy weight. A healthy weight is achieved when there is a balance between what the body takes in and what it expends. And it was balance that became the defining idea. This was to become the defining idea – balance. Key to achieving this visually was simplicity. First, we removed the word ‘Federation’ from the logo – it felt clunky and unnecessary. Typography was also key, with clean lines of the upper case typography to assert credibility and establish a sense of reliability. The space around the lock-up and the use of colour keep things feeling contemporary, relevant and approachable. The primary use of black and white within the colour palette is designed to supplement the central idea of balance. This is lifted through accents of colour to express a sense of action. 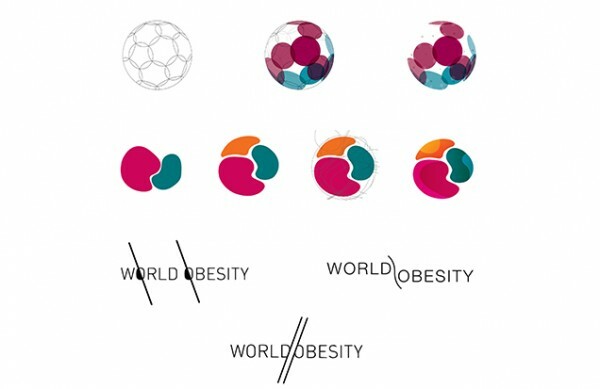 The result is a bold brand that doesn’t shy away from obesity but presents it as it is – a modern, global problem in urgent need of a modern, global solution.